Quote Dion Giolito: This sticks are just awesome. They are full of flavor that I love and have an extra boost of power that will make a lot of people very happy. For more information on the MK Ultra, and all of Dion's new offers from Illusione, please check out the video interview we did with him that last months IPCPR here. The Illusione MK Ultra had a pristine wrapper. 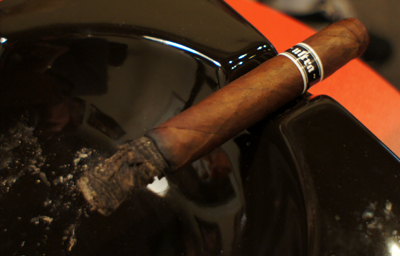 The dark brown color with reddish hues was almost uniformly even all around the cigar. The veins were there, but they were small and actually added to the look of the stick. This is not something I normally would think when it comes to the aesthetics of a cigar, but in this one it just worked. The pre-lit aroma was slightly sweet from the wrapper, but the open foot had a very deep earthy musk. I clipped the cap and the cold draw was free with just a slight tug of resistance. The flavor was nice natural sweet tobacco . I forgot to mention in the intro that the MK is my favorite size and blend in the regular Illusione line so yeah, I dig the size. The "teaching" begins on the first puff of the MK Ultra. My palate was bombed right away with a spice that quickly coated both my tongue and the roof of my mouth. To the people thinking 'bombed' is a bad thing, this was quite the opposite. The spice was strong, but it was extremely tasty and had a soft characteristic to it. There was no burning or unpleasant feeling going on. Something of interest (and Dion mentioned it in our video) is that, even with all the power coming through, this cigar does not hit your throat. About ten puffs in, the spice mellows out a bit and I was greeted by a warm woodsy flavor mixing in. It was not cedar, nor oak, just a refined non-descriptive woodsy flavor. The strength of the cigar is in the lower full range at this point. 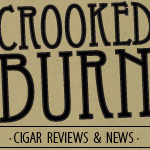 The first thing I want to mention right away that I didn't put in the first half of this review was look how black the ash was on this cigar. I mean that is B-L-A-C-K! But don't let it scare you away because if the first half wasn't good enough, the second half was where I got what I wanted. The flavor profile on the second half switched over to the classic Illusione flavor I love with tastes of black cherry on the front mixing with an earthy spiciness on the finish. The difference between this and normal Illusione with similar profiles is this one ramped it up to 10 in flavor power. 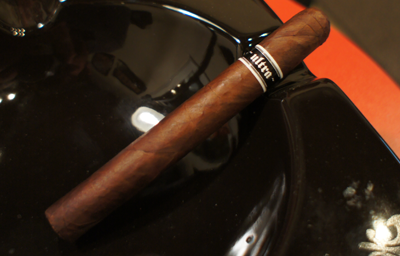 Most of the time I describe flavors with terms like "hints" or "a touch of" but not in this cigar. This one told me what the flavor was and there was no denying it. At this point the strength of the cigar was in the full range, but nothing that makes me feel uncomfortable or lightheaded. The cigar did need one re-lite, but they are very new, so that could have been the issue. My final thoughts on the Illusione MK Ultra? I hyped this cigar for months in my head before it came out. I did the same thing with the Nosotros last year. I am very happy to say that unlike last year, this stick was exactly what I was hoping for and passed my self-projected hype with flying colors. 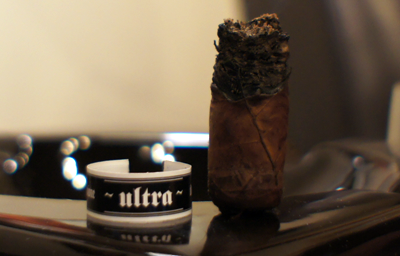 Strong classic Illusione taste ramped up into a more powerful cigar. It's not going to knock over a seasoned smoker with nicotine (always a good thing in my book), but you will feel it and it's relaxing. Would I buy it again? I will be keeping a stash of these on hand at all times and since it's a full production, that shouldn't be to hard to do. Would I buy a box? It's not the cheapest high quality, small cigar you will find out there, but if you have the cash I say it's box worthy for sure. I'll be grabbing one when I get some extra scratch. These cigars went on sale today at New Havana Cigars. When i was over there he had a pretty good stash of these but I am guessing this first delivery will go pretty quickly.